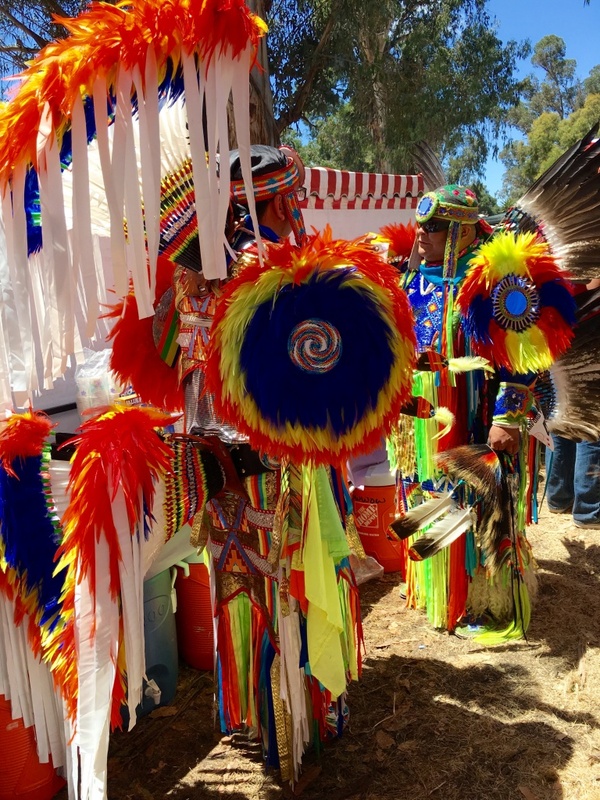 Celebrating its 46th year, the Stanford Powwow is the largest multicultural event put on by Stanford University to celebrate contributions to the Native American community by present and past students. 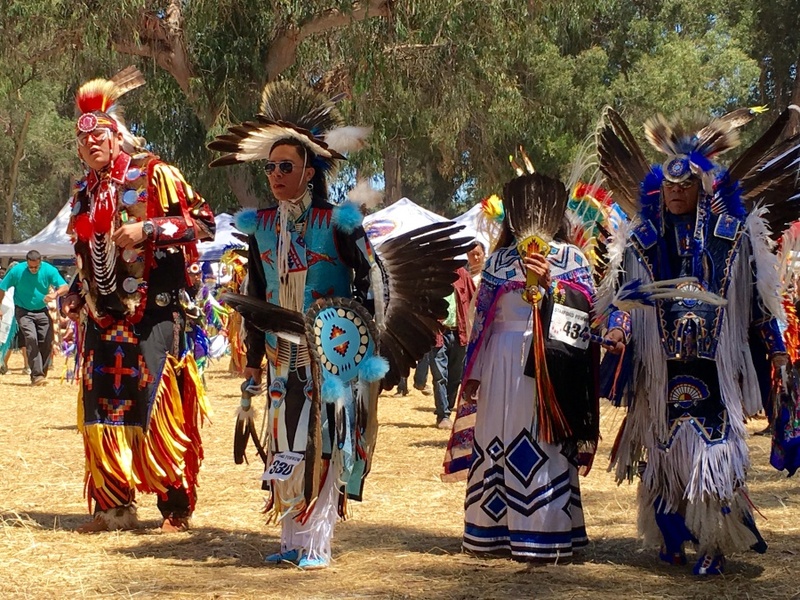 We know about them from the movies, but I have to say, I’ve never been to a Powwow. 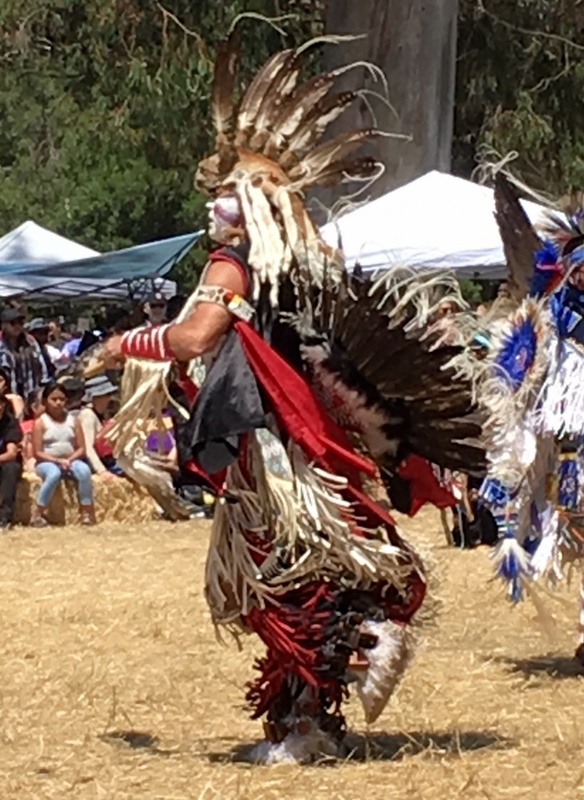 They are the Native American people’s way of meeting together, to join in dancing, singing, visiting, renewing old friendships, and making new ones. This is a time to renew Native American culture and preserve the rich heritage of American Indians. 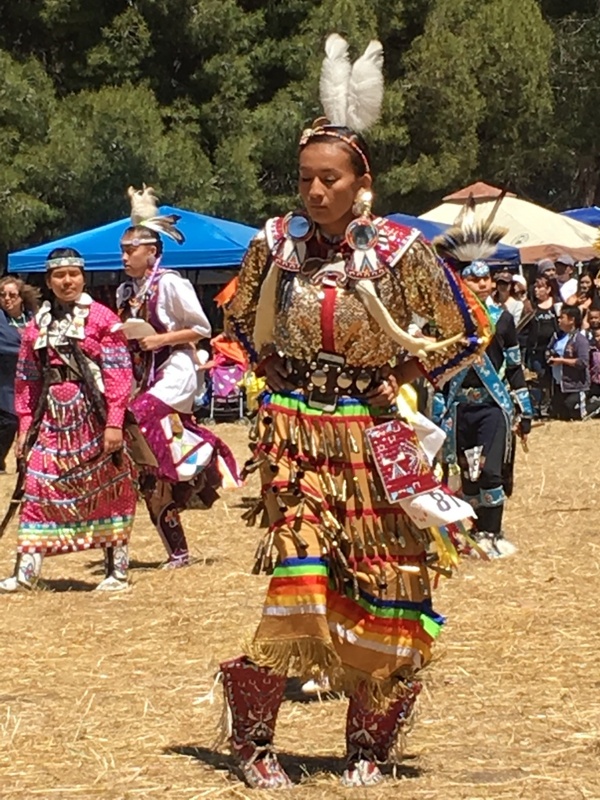 Hosted by the Stanford American Indian Organization, more than forty student members work for half a year to put on this event every Mother’s Day weekend at the Stanford University. Working together with the American Indian, the Alaska Native, and Native Hawaiian Program, as well as the Native American Cultural Centers, this time of celebration brings together members from many different tribes from all across the United States. 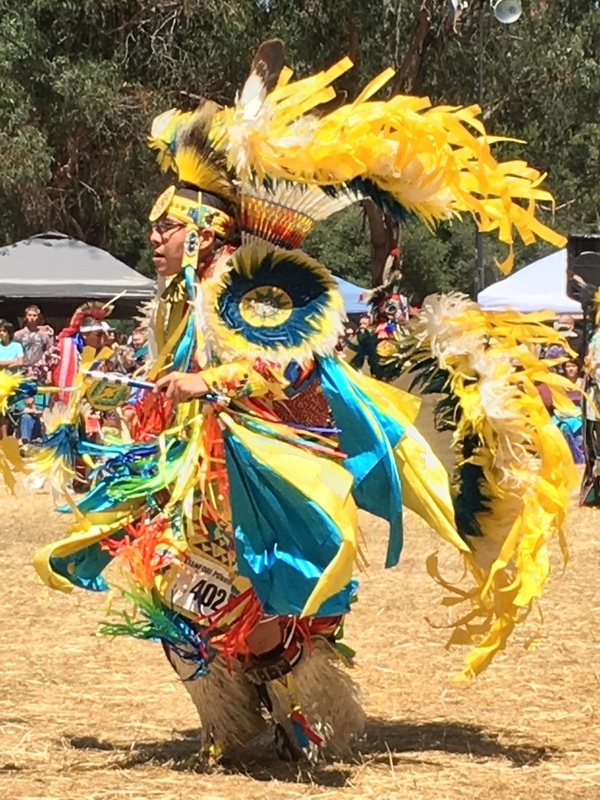 Throughout the weekend, different tribes compete in drumming, singing, and dancing, in age groups ranging from juniors, teens, men, women, and golden age. They come from the Lakota, Blackfoot, Cherokee, Navajo, Choctaw, Winnebago or Comanche Tribe…from Oklahoma, Arizona, Oklahoma, Montana, Texas, and New Mexico, Alaska, and Hawaii. American Indian nations are still throughout our United States. The audience encircles a large arena, sitting on bleacher seats under shade awnings, anxiously awaiting what is to come. One section holds the Buc Wild drum group, a collection of different tribal members who travel across the nation sharing their hypnotic chanting and drumming at various powwows. As the drumming begins to pound in your chest, and the sound of the ancient chants fill your ears, you are transported to another world. The dancers enter the arena dressed in their unique tribal performance regalia, bringing their best game to compete. There are many different types of dance categories in which they compete: traditional, grass, jingle, fancy shawl, and fancy. 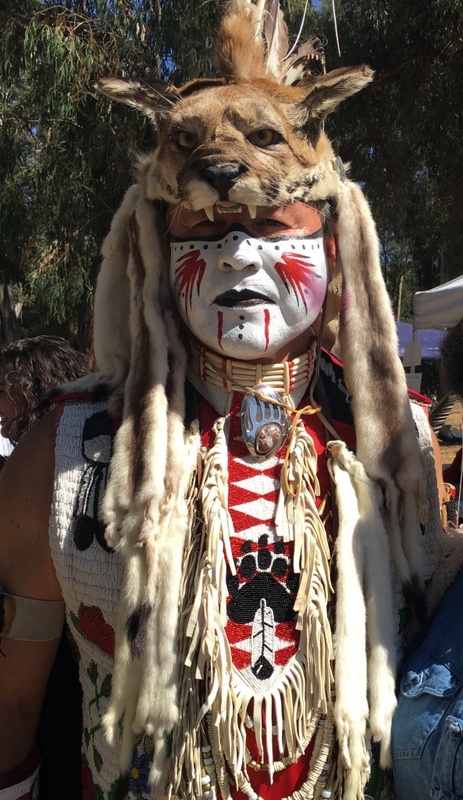 Each category demands a different kind of outfit, so elaborate in its details from the hand beaded headbands and earrings, the highly embellished silver belts, the hundreds of bells, to the fully hand beaded moccasins. They were all so different, and each uniquely beautiful! Prizes awarded are up to $3,500. 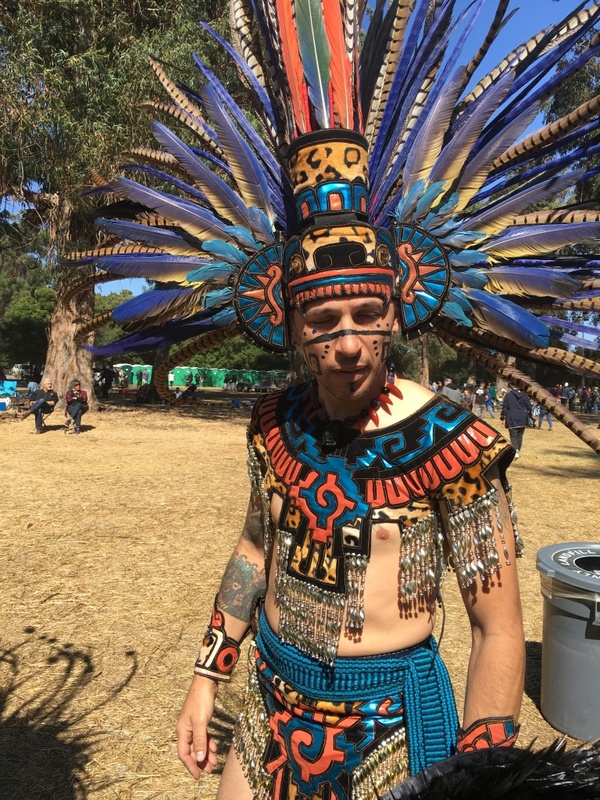 These costumes are authentic and detailed, and part of their unique culture and heritage. This vest is all hand beaded, the necklaces made of bone. The back of that outfit above – just beautiful!!! As a side note, in 1970, it was this same organization that originally petitioned to change the mascot from the Stanford Indians, which had been their mascot since 1930. In 1972, the mascot was changed to the Stanford Cardinals, referring to the color red, and not the bird. Their unofficial mascot is now a tree, which you will find dancing on the fields near the cheerleaders at Stanford’s athletic games. The tree doesn’t dance nearly as well as these Indian dancers do. 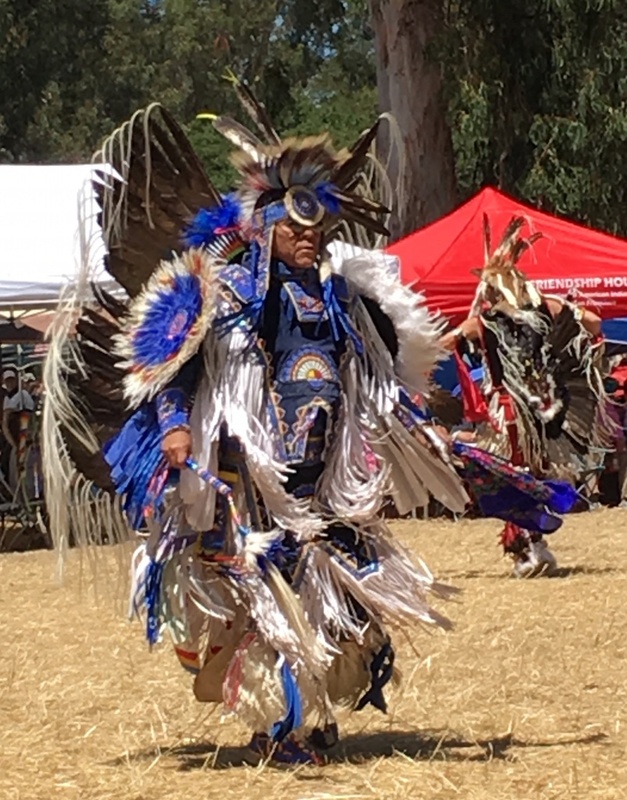 In addition to all the wonderful dancing, there are close to a hundred Indian arts and crafts booths, and lots of food booths to keep you busy and eating. 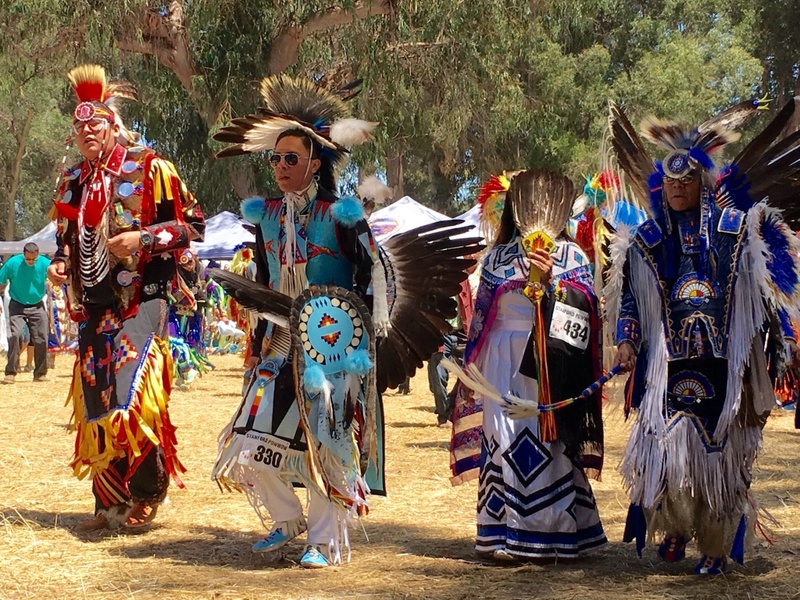 If you happen to be in the San Francisco area on Mother’s Day weekend, please make your way to the Annual Stanford Powwow. Such wonderful colors and costumes!